Shawn Mendes and Camila Cabello will join Dua Lipa, Carrie Underwood, Mariah Carey and Taylor Swift as performers at this year’s American Music Awards. 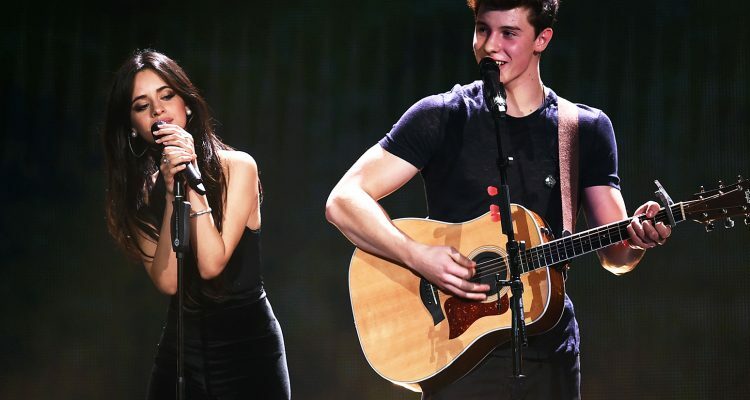 Though the two pop singers have a song together – 2015’s “I Know What You Did Last Summer” – Cabello and Mendes will be performing separately at the AMAs. Both will be playing tracks from their respective Billboard 200-topping albums from earlier this year, with Zedd accompanying Mendes for the remix of “Lost In Japan.” The AMAs appearance will mark the remix’s live debut. In addition to the other high-caliber teams at the awards ceremony, Panic! At The Disco will pay homage to Queen with a performance of “Bohemian Rhapsody,” and there will also be a special tribute to the Queen of Soul, Aretha Franklin. The 2018 American Music Awards will broadcast live via ABC from Los Angeles at 8 PM ET on October 9th.